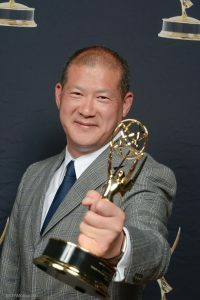 Roger Chiang is the Director of Content Production at KQED, and will talk about how KQED has been undergoing a transformation into digital media for years, and was looking for a solution to allow their multiple creative teams to collaborate. They chose Evolphin to connect teams using Adobe Creative Cloud apps with their video teams using Avid Interplay and Media Composer. Streamlining the creative teams at Northern California’s largest public broadcaster is no easy task, and we’re excited to have Roger on the Adobe stage sharing what he’s learned and how he plans to use Evolphin Zoom to streamline the creative workflow at KQED! Roger will speak twice during NAB, on Monday April 8 at 10:30am PDT and on Tuesday April 9 at 3pm PDT, at Adobe’s NAB Booth, SL5610.